This was a post I found on Pinterest months ago. Finally decided to try it this weekend. 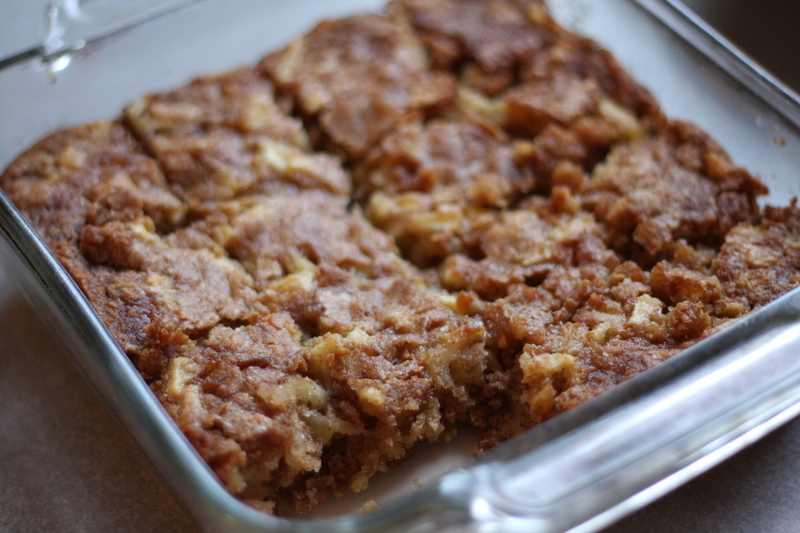 It states it is similar to blond brownies with apple chunks. Hmmm…not quite. 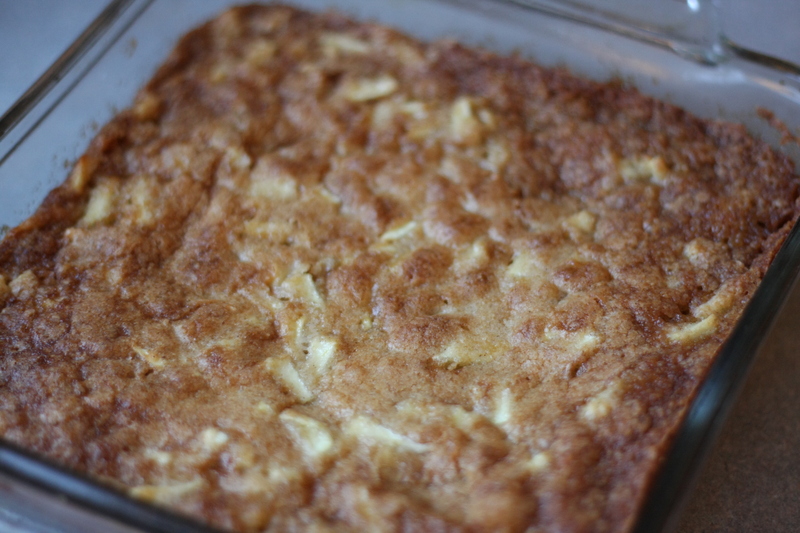 These tasted really good, but were definitely not a “brownie.” More of an apple cinnamon cake. It tasted great with my morning coffee and my husband finished it off last night after I went to bed. Try it out, let me know what you think. In a large bowl, beat together the melted butter, sugar, and egg until fluffy. Fold in the apples. In a separate bowl, sift together the flour, salt, baking powder, baking soda, and cinnamon. Stir the flour mixture into the wet mixture until just blended. Spread the batter evenly in the prepared baking dish. Bake 35 minutes in the preheated oven, or until a toothpick inserted in the center comes out clean. Love the combination of apple and cinnamon, these sound delicious and perfect for this time of year.